Last Week’s Recap: School is Back & Rachel Land’s ‘Imaginarius’ was Awesome! After a wonderful first week back-to-school, we were very excited to end the week with a presentation of former SAI student Rachel Land’s work on Friday evening. 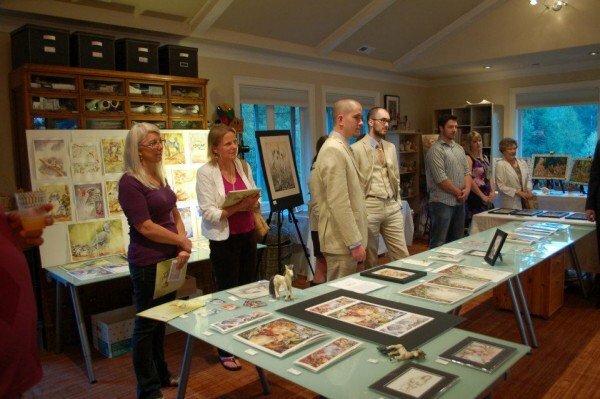 The studio was filled to the brim with family and friends, all eager to see Rachel’s magical illustrations, paintings, and whimsical hand-sewn animal sculptures. 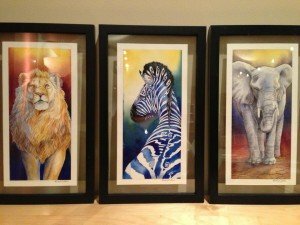 If you’ve seen Rachel’s work before, then you know how her eye for color, detail and personality comes through so beautifully in each one of her paintings or drawings. This show, ‘Imaginarius,’ was a lovely collection featuring a few older pieces as well as many new paintings and illustrations for her collaboration I Will Call Myself Future, a story written by Jamie Bagge. Rachel’s first published book project, Only One Henrietta, was also on display. It was such a privilege to be able to host this show, and it was so exciting to see so many other people delighted over Rachel’s hard work and incredible skill. If you haven’t seen Rachel’s art before, or didn’t get a chance to purchase any of pieces on Friday, click on over to her Etsy shop and check her out! Thanks again to everyone who made it out on Friday, and be sure to keep checking our blog to stay up-t0-date with all the events happening this year at SAI!